Subterranean Termites are Swarming Subterranean termites are swarming right now in Manatee and Sarasota Counties. 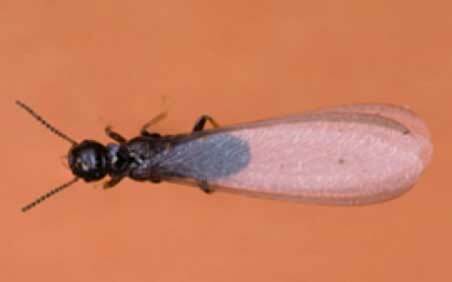 Reproductive termites have grown their wings so they can leave the colony and find a suitable mate. Once a male and female pair up, they find a suitable piece of wood to start a new colony. This is the reproductive cycle that happens each year – its like the kids leaving home, meeting a spouse, and starting a new family. 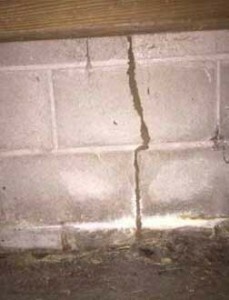 If you dont know what a swarming subterranean termite looks like then take a good look at the image below. 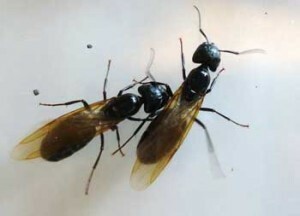 The swarmers bodies are black. People often mistake subterranean termites for ants. Unlike ants, subterranean termites do not have much definition between the head thorax and abdomen. The body appears to be one solid shape. Subterranean termite swarmers have four wings, which are brownish grey with two dark veins along the front of the wings. How do I know if I have subterranean termites? Because subterranean termites live in the soil, you may see mud tubes around your home. The subterranean termites travel through your home in mud tubes to stay cool and moist. Another sign of infestation is a collection of wings along windowsills or sliding glass doors. Subterranean termites swarm toward light and often run into the glass causing them to perish or shed their wings. If you think you may have subterranean termites, call our office today to set up an inspection with one of our trained termite technicians. We can be reached at 941-746-1147 or info@manateepestcontrol.com.